A rare, large Otodus vertebra with very nice color from Morocco. Exceptional concentric growth rings well preserved as well as the pair of ventral foramina openings along the side. Very thick at 1-1/4". Centra face is very clean and edge structure is well preserved. Eocene age. Excellent quality. Authenticity guaranteed. A TOP QUALITY Mosasaurus beaugei tooth from the Cretaceous of Morocco. Excellent preservation. Excellent, well defined ridges. No repair or restoration.This is one of the more difficult of the large Mosasaur species to find. Authenticity guaranteed. Note - Adding 20 new Mosasaur teeth in April 2019. --> Link to Mosasaur teeth. A GORGEOUS, LARGE Otodus obliquus anterior tooth from the Khouribga phosphate mining area of Morocco. This tooth exhibits an excellent brown color and a white root. Knife-like edges! Tip chip. A massive, thick root. Great color! One of the earliest ancestors of the Megalodon. An excellent collector's quality tooth. Authenticity guaranteed. An Excellent Lime Green colored Megalodon tooth from Florida. Rare color. These Megs are Miocene age - about 10 MYA from the Bone Valley Fm. of Florida. Megalodon teeth are great for gifts, class room, or starting your fossil shark tooth or Megalodon collection. Authenticity guaranteed. Note - All "First Megalodon" teeth come with a 3"x4" Riker frame with label plus an identification card. Note - Be sure to see all of the My First Megalodon offerings. A Very Nice GRAY colored Megalodon tooth from So. Carolina with frame. These Megalodon teeth are great for gifts, class room, or starting your fossil shark tooth or Megalodon collection. These Megs are Miocene age - about 15 MYA (Hawthorne Fm.) from So. Carolina unless otherwise marked. No repair or restoration. Authenticity guaranteed. Note - All "First Megalodon" teeth come with a 3-1/4"x4-1/4" Riker frame with label (as photographed) plus an identification card. Note - Be sure to see all of our My First Megalodon offerings - So. Carolina and Bone Valley (FL) teeth available. 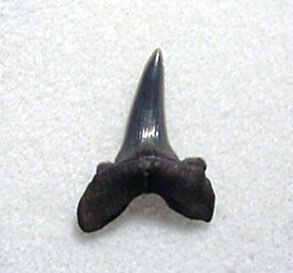 A Top Quality Broad-tooth "Mako" shark tooth - lower jaw lateral tooth from Chile. This tooth has a tan crown and a light tan root. Excellent color! Very sharp cutting edge and small side cusps (much like the Great White shark juveniles - very unique). Excellent preservation - note nutrient hole on root. Perfect tooth. A fantastic collector's tooth. Authenticity guaranteed. Note - Adding 22 new Chilean Big "Mako" teeth in Feb. 2018 Link to Chilean Isurus hastalis teeth. Wire wrapped fossil Great White and Mako shark teeth for necklaces. These teeth have a simple aluminum wire wrap and come with a leatherette necklace cord with a simple clasp. The leatherette necklace cords come in nine colors. These are authentic Miocene or Pliocene fossil shark teeth. Just is time for Shark Week 2017 and your summer fun! We are posting nearly 50 necklaces to choose from. Note: go to end of this catalog and select your necklace color and put it in the Shopping Cart (no cost). A LARGE, Top Quality Palaeocarcharodon orientalis lateral tooth. Gorgeous golden tan color. Incredible serrations! Incredible tooth! "Dagger-like" crown recurvature. No repair! Authenticity guaranteed. A great collector's tooth. A Top Quality wire wrapped Mako shark tooth necklace from So. Carolina. This necklace includes blue & black beads and a 20" leatherette cord with a simple clasp. This is an authentic Miocene fossil shark tooth. Just is time for your summer fun. Get ready for the beach! Note - Adding 20 SC shark tooth necklaces in March 2019. --> Link to SC fossil necklaces. A Top Quality wire wrapped Angustidens shark tooth necklace from So. Carolina. This necklace includes blue & black beads and a 20" leatherette cord with a simple clasp. This is an authentic Miocene fossil shark tooth. Just is time for your summer fun. Get ready for the beach! A GORGEOUS, LARGE Otodus obliquus lateral tooth from the Khouribga phosphate mining area of Morocco. This tooth exhibits an excellent brown color and a brown root. Knife-like edges and tip! A massive, thick root. Crack on left root lobe. Great color! One of the earliest ancestors of the Megalodon. An excellent collector's quality tooth. Authenticity guaranteed. A TOP QUALITY, LARGE upper jaw lateral Isurus planus tooth from Sharktooth Hill. Beautiful colorful crown with an excellent brown colored root. Excellent preservation. Incredible color! An excellent collector's Mako tooth. Authenticity guaranteed. Note - Adding 10 colorful Isurus planus teeth in December 2018. --> Link to Isurus planus teeth. A TOP QUALITY, colorful Mako shark tooth with a gorgeous orange & blue from Sharktooth Hill. Great color! The root is very well preserved with a nice rust color. Very clean crown. Excellent overall preservation. 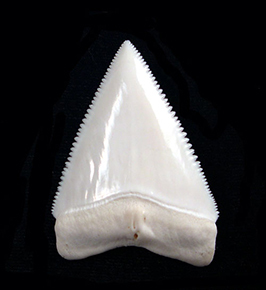 A fantastic high quality Mako tooth. Authenticity guaranteed. Note - Adding 10 colorful Sharktooth Hill Hastalis teeth in December 2018. -> Link to Sharktooth Hill Hastalis Teeth. A TOP QUALITY, colorful Mako shark tooth with a gorgeous brown from Sharktooth Hill. Great color! The root is very well preserved with a nice rust color. Very clean crown. Excellent overall preservation. A fantastic high quality Mako tooth. Authenticity guaranteed. 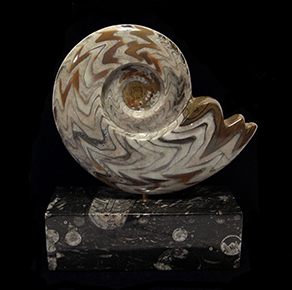 An incredible natural Daivilleieras ammonite showing the ornate external structure from Madagascar. A gorgeous display item! Authenticity guaranteed. Real Wooly Mammoth hair, Mammuthus primigenius, from Siberia. The hair comes in a 3” x 4" zip lock bag. This is your opportunity to own a Wooly Mammoth hair sample from the Ice Age. Authenticity guaranteed. An Excellent Charcoal GRAY & Tan colored Megalodon tooth from Florida. These Megs are Miocene age - about 10 MYA from the Bone Valley Fm. of Florida. Megalodon teeth are great for gifts, class room, or starting your fossil shark tooth or Megalodon collection. Authenticity guaranteed. Note - All "First Megalodon" teeth come with a 3"x4" Riker frame with label plus an identification card. Note - Be sure to see all of the My First Megalodon offerings. 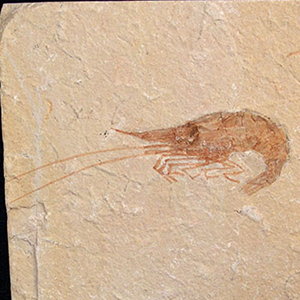 An exceptional Carpopenaeus longirostris, Cretaceous fossil shrimp specimen from Lebanon. Matrix size: 2-1/2" x 2-3/4"
Note - Adding 5 new fossil shrimp specimens in November 2018. --> Link to fossil shrimp. An excellent, well preserved Miocene fossil crab, Pinnixia galliheri, from Carmel, California. A Top Quality Broad-tooth Mako shark tooth from So.Carolina. Commonly referred to as Isurus hastalis, but renamed to Cosmopolitodus hastalis as a Great White shark ancestor. An upper jaw anterior tooth with the high quality enamel. A glossy gray colored crown. Excellent color! Sharp cutting edges. An excellent root. An Excellent collector's Mako tooth. A Top Quality, Extra Large Triceratops horridus "spitter" tooth from the late Cretaceous of northern North America. Triceratops is a large ceratopsian dinosaur found in the Hell Creek formation. The enamel is good quality with nice color / patina. This tooth is commonly called a "spitter" tooth as it was lost and replaced. No cracks. No restoration. Legally collected on private land in the Hell Creek Fm., Garfield Co., Montana. Authenticity guaranteed. An excellent, extra large Triceratops spitter tooth! A Top Quality, Juvenile Angustidens - upper jaw Lateral tooth from So. Carolina. High quality enamel. Bourlette is an excellent tan color and complete. Excellent serrations with a good tip. Good side cusps. The root is very nice with small hydration cracks. Excellent color and preservation. No repair or restoration. Authenticity guaranteed. An excellent Angustidens tooth from Summerville, So. Carolina. Note - Adding 17 new Angustidens teeth in November 2018. --> Link to Angustidens teeth. A Top Quality, Juvenile Angustidens - upper jaw Lateral tooth from So. Carolina. High quality enamel. Bourlette is an excellent tancolor and complete. Excellent serrations with a good tip. Good side cusps. The root is very nice with small hydration cracks. Excellent color and preservation. No repair or restoration. Authenticity guaranteed. An excellent Angustidens tooth from Summerville, So. Carolina. A Top Quality Edmontosaurus annectens tooth from the late Cretaceous of North America. 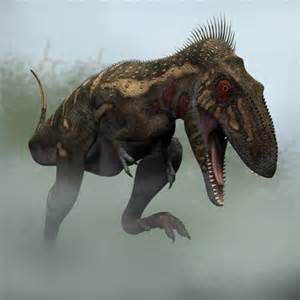 Edmontosaurus is a very large hadrosaur dinosaur found in the Hell Creek formation. The enamel is excellent quality with excellent color / patina. Excellent preservation showing the intricate texture of the root. No cracks or restoration. Legally collected on private land in the Hell Creek Fm.,Powder River Co., Montana. An excellent collector's quality Edmontosaurus tooth. Note - tooth comes with a gem case. Authenticity guaranteed. A Top Quality Hemipristis serra tooth - an upper jaw anterior tooth from the Lee Creek mine, Aurora, No. Carolina. This tooth has a beautiful blue & charcoal crown and a gray colored root. A huge Yorktown Fm. tooth - Pliocene age. A fantastic collector's tooth. You will rarely see a top quality Lee Creek Hemipristis tooth that is this size! Adding 20 new Lee Creek Hemipristis teeth in April 2018 . Link to Lee Creek Hemipristis teeth.